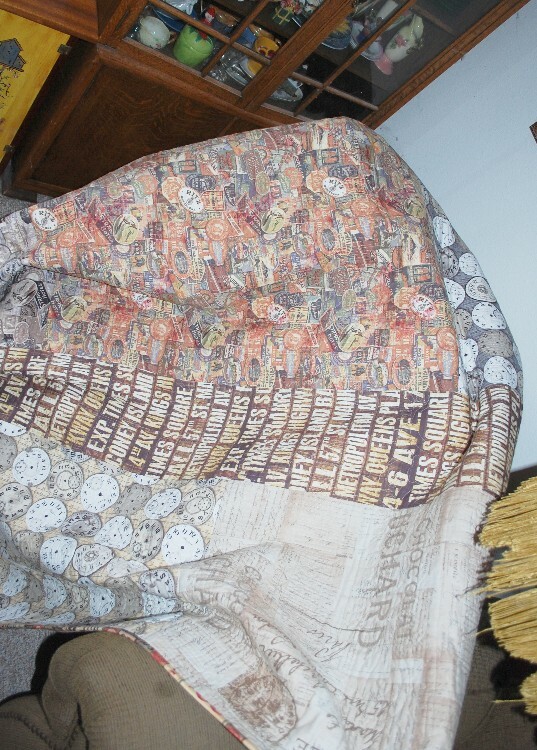 I have made a total of 4 quilts from this line of fabric. 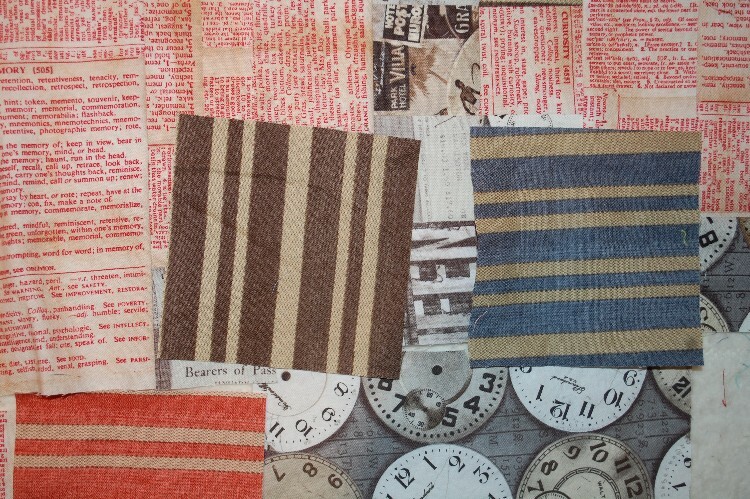 It is the first line of fabric by the famous Tim Holtz of the crafty/scrapbooky world for Coats and Clark. The above shots are from Quilt No.4 which, by the way, was lost by FedEx for about 2 weeks! 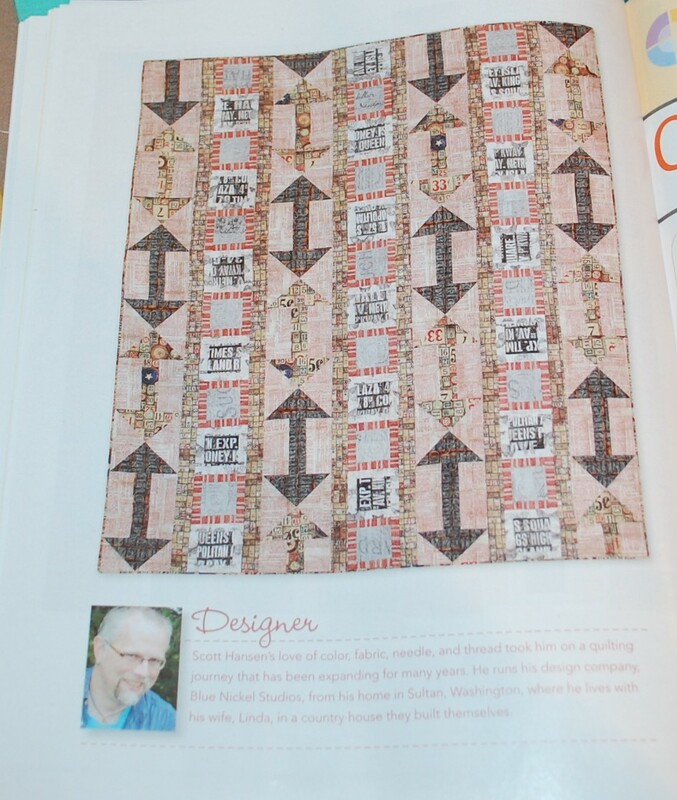 Gladly I can report that it arrived where it was supposed to and will be in a major quilting magazine soon. Phew! It was a close one. I have always used FedEx and have been very happy with them up and until now. I did learn some things to do that I will always do from now on. I will state the full value on the form just to be sure that if they DO lose it, I get reimbursed for it. I discovered that if you don’t write a value down, you will be lucky to get $100 for it. And that would have made me very unhappy. Thankfully, I didn’t have to go that route. I will make sure that I put the address on the inside too. I probably should have been doing that the whole time, but I was lazy about it. Anyway that is the story on the No.4. This post is mostly about No. 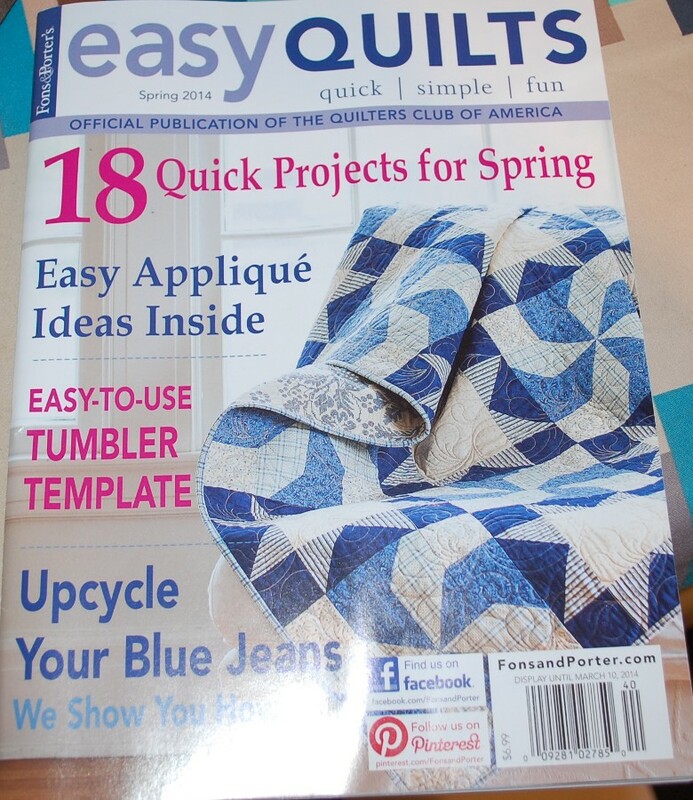 2 which is in the current issue of Fons & Porter’s Easy Quilts. Again I am behind on posting this. 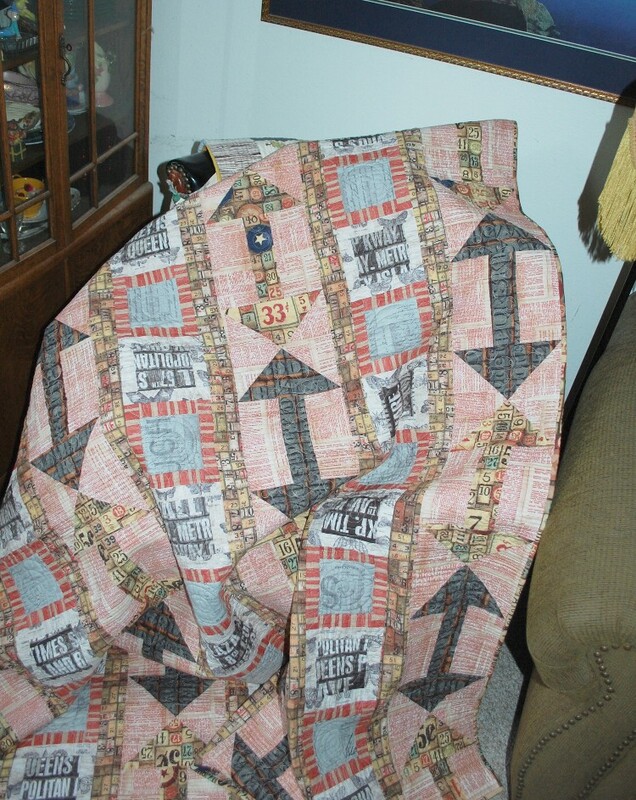 I got my issue of the mag quite some time back but the quilt itself didn’t get back until a few days after No. 4 went off to another magazine. And then there are those patterns I am working on writing for my Sisters classes. Oh, and a project for Free Spirit that was needed…..oh, in a WEEK…. (that was a tough one..some pictures for you when I am told I can share). As well as all the everyday stuff around here. Yup, it’s been a busy beginning to the year. So here’s what the issue looks like when you are scouring the quilt shops and newsstands for it (hopefully it is still out there!). With their great photography — all clean and professional. and here at home — all natural….including some spider webs I didn’t notice when I took the picture below! and here’s the back, where you get to see BIG chunks of the line. On this one, I used only the prints from the line. On Quilt No. 4 I used something else, because as much as I have enjoyed most of the prints in this line, after FOUR quilts in only one line of fabric, I am burnt out on it. I will be doing another quilt in Tim’s next line soon, and I am glad to be moving on from this one. I am looking forward to mixing in some of these prints with other lines. And in case you were wondering about Quilt No. 1 and Quilt No. 3, I talked about Quilt No. 1 here and apparently, I didn’t post about No. 3 at all…my bad! I just tried looking for the patterns that I wrote up for quilts No. 1 and 3 on the Coats site…….and I can’t find them anywhere. Hopefully I will be able to find them and let you know about them, but for now they are lost in cyberspace. Anyway, that’s it for now. 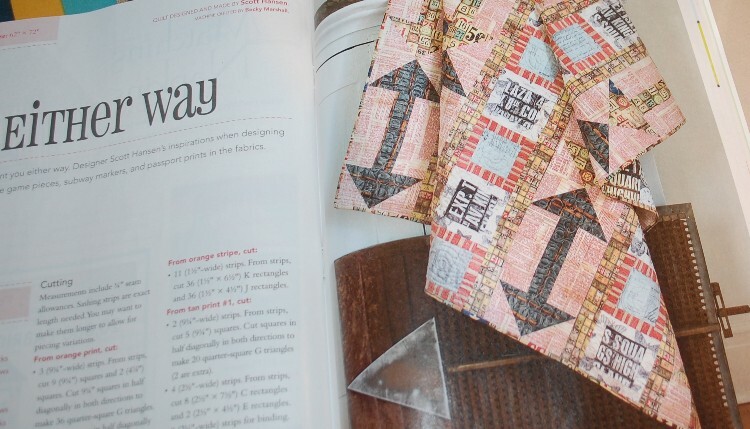 I need to get back to finishing up my taxes, getting caught up on massive paperwork, etc.. More fabric to share soon and some new (ish) books to share as well….plus a fun giveaway for a useful tool in the studio as well. That fabric is awesome! I am so glad you’re block arrived safely. 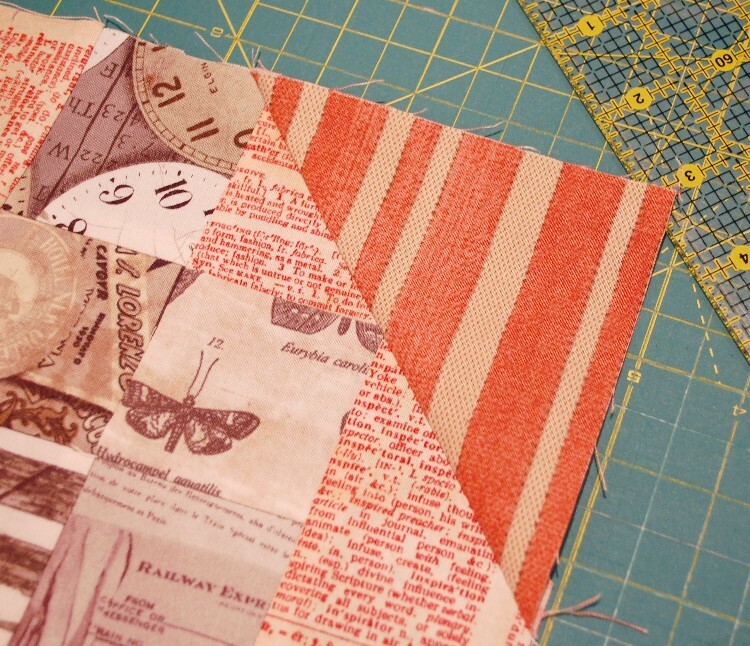 The arrow quilt is fabulous! Love it. Looking good! 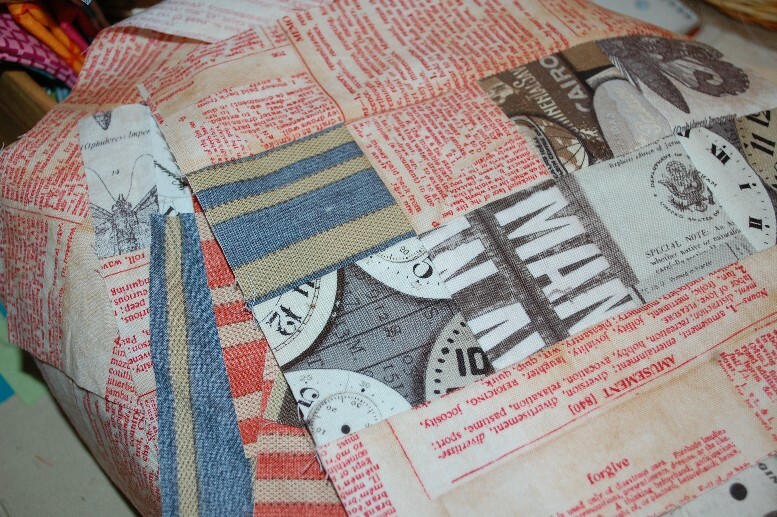 I can’t wait to see how you mix the fabric with other lines. That will be fun! 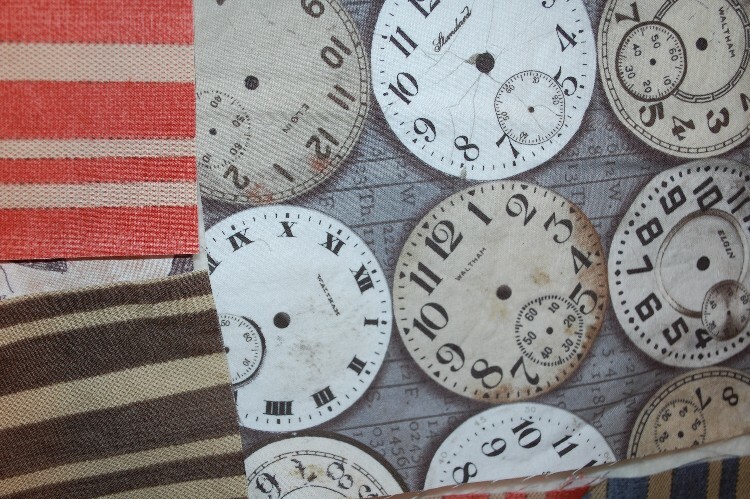 Gorgeous fabrics ,the one with watches caught my eye and your quilt is just fantastic.Have a fun day!! I really like the Eclectic Elements line, and I like what you have done with it here too.